Living with memory loss is difficult. Not only for the person experiencing it, but for their loved ones who care about them as well. 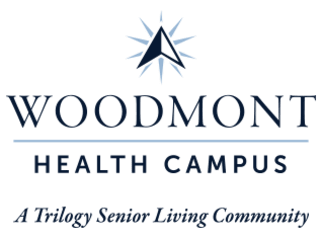 At Woodmont Health Campus, we’re committed to providing care, support, and understanding to every family we serve, so that moments that have become challenging can transform into moments of joy. Seniors who live in our Memory Care neighborhood receive the highest quality care from trained caregivers who take the time to learn their stories, their struggles, and their strengths, in a neighborhood designed to provide both comfort and dignity. The best Memory Care services are rooted in a clinical understanding of Alzheimer’s disease and other forms of dementia. This is why, in our Memory Care neighborhood, we offer programming such as our Daily Rhythms program, which is supported by national Alzheimer’s advocacy groups. Those with memory loss need a schedule they can rely on. At Woodmont Health Campus, we provide this schedule, along with compassion, understanding, and comfort, every day. For those with memory loss, each day is made up of a series of moments. In our Memory Care neighborhood, we treat each moment, and each person, with respect, patience, and understanding. Although memories may be fading and everyday tasks are harder to complete alone, we believe that there is still room for happy interactions, heartfelt connections, and simple achievements. No matter the stage of memory loss your loved one is in, you can count on us to be there every step of the way. Our Memory Care services can make a difference. Contact us to find out how.